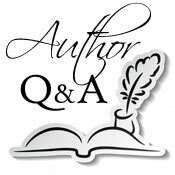 We are delighted to welcome suspense novelist Elisabeth Elo to Omnimystery News today. Elisabeth's debut novel, North of Boston (Viking; January 2014 hardcover, audiobook and ebook formats), introduces Pirio Kasparov, a Boston-bred tough-talking girl with an acerbic wit and a moral compass that points due north. We recently had the opportunity to talk to the author about her new book. Omnimystery News: How much of your own personal or professional experience have you included in North of Boston? Elisabeth Elo: When I was writing North of Boston, I thought I was making everything up. It wasn't until I'd finished it and people started asking me questions about it that I realized how many events and situations from my own life had found their way into the pages, usually in altered forms. I didn't remember until after I finished the book, for example, something that happened in high school when I was working at an aquarium: Some of us used to swim after hours with two dolphins named Salty and Spray who had been together in captivity for over a decade. At the end of the summer Salty died of a skin infection, and Spray went to the bottom of the tank, rarely surfaced, and refused to do the shows that she had enjoyed for years. She died in a few months time. Whatever the medical reason, it was clear to the people who cared about her that she'd died of a broken heart. What I learned about marine mammals from that experience obviously never left me. I also didn't remember, or didn't think about, a lobsterman friend of ours who had died suddenly years before. There was nothing nefarious in his death, but it was still a very sad event as he left twin daughters behind. It was only when I was writing the Q & A for my website that he came back to me full-force and I realized he was the model for Ned. There are numerous examples of that phenomenon in the book — submerged events and situations in my life that floated up unbidden and came to life again in the pages without my even knowing it! OMN: Tell us about your writing process and where you typically write. EE: My writing process and my work area are polar opposites. My process is chaos, and my desk is a clean, uncluttered haven. When I start writing something new, I take advantage of every available form of paper: notebooks, lined paper, graph paper, scraps of paper, index cards, etc. I scribble character sketches and descriptions and whatever scenes pop into my head on whatever paper is available, and then I never look at any of it again. My handwriting is so messy that I honestly couldn't read it if I tried, but the real reason I don't look at it is because I actually don't intend to use any of it. I tell myself that I'm working stuff out in my unconscious, and I think that's actually true. As the book takes shape, I switch to the computer and start seeing the scenes in front of me, and that's a relief. I don't have a writing schedule. A daily word count would do me in. I figure if I wanted to work in a factory, I'd work in a factory. I can spend weeks not writing at all, just daydreaming, and then I can be at my computer for four, eight, or ten hours a day. At the end of a book, I'm glued to the screen and people have to tell me to eat. I love my desk. It's my refuge. I like to have flowers in a beautiful vase next to my computer. I sometimes play jazz softly in the background, and sometimes I just have the noise of the cars going by on the street. If the phone rings, I jump a mile, so I've learned to turn it off. OMN: Give us the synopsis of North of Boston in a tweet. EE: Holy cripes! The end is near. Not so fast. Who are you? And you? No choice now. Screwed that up. *^#!&*[email protected]*. Whew. Out of my way. Let's eat! OMN: We lived in Boston for ten years and think it's a terrific place to set a novel of suspense. How true are you to the setting? In terms of the Canada stuff, I worried a lot about the fact that I'd never been to the places I was describing. It really held me up. Then one day I was sitting at my computer, thinking, "I can't write this scene because I don't know what this town looks like!" And suddenly I got an idea. I entered "Hopedale, Labrador, Canada" into YouTube and in seconds I was watching a video taken by a young guy riding shotgun in his friend's pick-up, giving would-be visitors a guided tour of his town. I nearly died. After that I was using YouTube practically every day. When the German translators were working on my book, they found a mistake I'd made with the geography of Baffin Island. I had described a small island at the mouth of an inlet; they pointed out that there weren't any inlets on Baffin Island that had small islands in front of them. The inlet they assumed I was referring to did have a spit or promontory at its mouth, and would I be willing to change the text? They sent me an aerial photograph for reference. I was completely blown away by their exactitude. I didn't have the heart to tell them that I actually hadn't had a specific inlet in mind at all. I'd just figured there were enough inlets on Baffin Island (hundreds, in fact) that one of them was bound to look the way I'd described. Writing this book taught me a lot about settings. People care about them. They've paid good money to travel with the protagonist wherever she goes, and they don't want to be jarred out of the dream-world by an obvious mistake. When you think about it, that attitude makes sense. Readers give writers complete freedom with all the other story elements. Most of the time they love our wild imaginations. But setting is something we all own together, and no one should have special privileges. You can't make fast and loose with communal property. OMN: If you could travel anywhere in the world to research a book, all expenses paid, where would you go? For a long time I'd had an interest in northern lands. I think that is because my paternal grandparents, whom I never met, were from a town in Finland above the arctic circle. I read Piers Vitebsky's amazing book, The Reindeer People, which is about the native herders in northeastern Siberia, and then I read Ian Frazier and histories of the gulag and so on. I didn't think I was researching a book; I was just following my interests. Eventually I ran across a travel services company, and started facebooking with the guy who runs it, Bolot Bochkarev, and by then I had imagined a character who would go to Siberia to find a grandmother she didn't even know she had. So when I saw that the fares were a lot less than I had imagined, and heard that I could do an inexpensive homestay with an English-speaking woman in Yakutsk, I decided to go. I practiced Russian-language tapes, and went by myself in August, between summer and fall terms. That book has gone through several mutations since then. I still have the grandmother, but she pays a lesser role. There are two young ballet dancers in it now, and some bad guys, of course. OMN: What is the best advice, and harshest criticism, you've received as an author? EE: I've received a lot of good advice, but I've ignored most of it. That's just who I am — I've got to do things my own way and make my own mistakes. So I made a lot of mistakes, more than I needed to, but what I've learned I learned from experience, and as we all know experience is the best teacher. I don't give advice for the same reason that I don't take it. Or maybe I could say this: my advice is to trust yourself and your own process. You probably know more about what you want to do and how to do it than you're letting on. Sometimes we seek advice as a distraction, or in the hope that it will make our work easier. We might start writing to practice the advice instead of to tell the story. And advice can often be confusing, especially when famous authors say diametrically opposite things, which they frequently do. The whole thing can be a trap. Criticism, of course, can be very helpful. But we've got to be careful here, too. Good criticism is energizing: it makes us want to go back to the work. It's neither too vague nor too specific. It gives us a clear idea and lets us work out the details ourselves. Bad criticism is just depressing. We feel awful and we don't know what to do next. For days at a time we contemplate throwing out the whole manuscript and becoming a barista. Writers sometimes joke about getting this kind of criticism, but it's actually not funny. A critic who makes us feel this way is someone to avoid. The best comment I got recently might be either advice or criticism, depending on how you look at it. As I was describing all the research I was doing into different subjects, and how I was making note cards and scribbling ideas in notebooks, my listener said, "Sometimes all that stuff is just procrastination." Elisabeth Elo grew up in Boston and went to Brown University. She worked as an editor, an advertising copywriter, a high-tech project manager, and a halfway house counselor before getting a PhD in American Literature at Brandeis University. Since then, she's taught writing in the Boston area. She lived next to the ocean for many years and now resides in Brookline, Massachusetts. For more information about the author and her work, please visit her website at ElisabethElo.com or find her on Facebook and Twitter. Compelled to look after Noah, the son of the late Ned and her alcoholic prep school friend, Thomasina, Pirio can't shake the lurking suspicion that the boat's sinking — and Ned's death — was no accident. It's a suspicion seconded by her deeply cynical, autocratic Russian father, who tells her that nothing is ever what it seems. Then the navy reaches out to her to participate in research on human survival in dangerously cold temperatures.